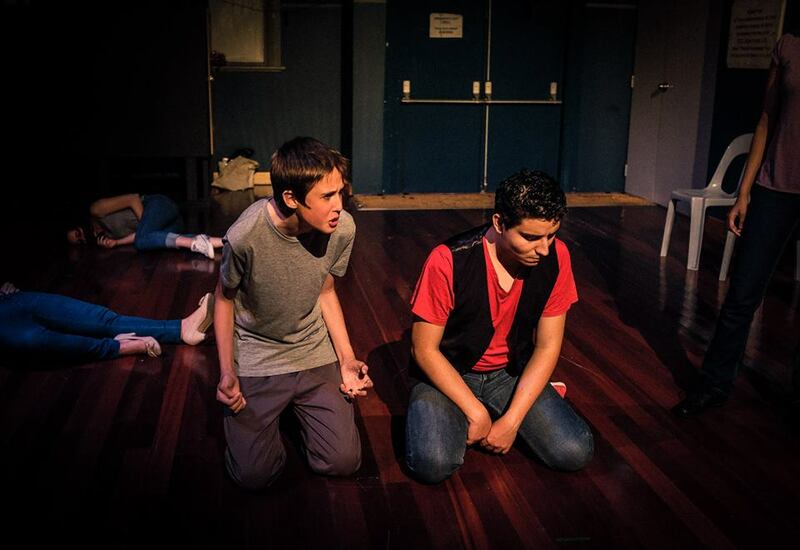 In This Fairfield: Romeo and Juliet in the West is a new Australian theatre work performed, written and devised by high school students from Fairvale High School, Miller Technical High School and the Powerhouse Youth Theatre Ensemble, directed by David Williams and Kate Worsley. Using Shakespeare’s classic tale as a starting point, the project investigates ideas of love and family amongst the historic divisions in Fairfield, the most culturally diverse region in Australia. The local communities can often appear to be living in harmony, but scratch the surface and the long-term cultural divisions become apparent. These conflicts are often related to the experiences of parents and grandparents who migrated here from war torn countries. Although the young people in Fairfield weren’t directly exposed to these international conflicts, their lives continue to be shaped by them. Part verbatim theatre, part urban Shakespearean tragedy, ‘In This Fairfield’ is a new bilingual (English and Spanish) contemporary performance work from Powerhouse Youth Theatre, Western Sydney’s leading performance company for emerging artists. One hundred years ago, a bullet from an assassin’s gun sparked a war that ignited the globe. Patriotic young men all over the world lined up to join the fight – including hundreds of Indigenous Australians. Shunned and downtrodden in their own country – and in fact banned by their own government from serving in the military – Aboriginal men stepped up to enlist. Undaunted, these bold souls took up arms to defend the free world in its time of greatest need. For them, facing the horror of war on a Gallipoli beach was an escape from the shackles of racism at home, at a time when Aboriginal people stood by, segregated, unable to vote, unable to act as their children were ripped from them. When the survivors came back from the war, there was no heroes’ welcome – just a shrug, and a return to drudgery and oppression. Black Diggers is the story of these men – a story of honour and sacrifice that has been covered up and almost forgotten. Directed by Wesley Enoch and written by Tom Wright, Black Diggers is the culmination of painstaking research into the lives and deaths of the thousand or so Indigenous soldiers who fought for the British Commonwealth in World War I. Grand in scale and scope, it draws from in-depth interviews with the families of black Diggers who heard the call to arms from all over Australia, as well as conversations with veterans, historians and academics. Young men will step from the blank pages of history to share their compelling stories – and after the curtain falls, we will finally remember them.